I have provided the SQL code for database formatting at the Slingshot! wiki. Step 1: Use the 'record' component to track changing sliders and fitness values. 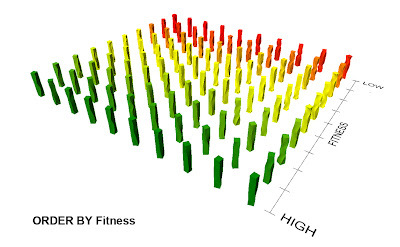 Step 3: Insert the recorded fitness and gene values into the database. Step 4: Query the database to view and sort the genomes. **Update** Download the IronPython code here...! 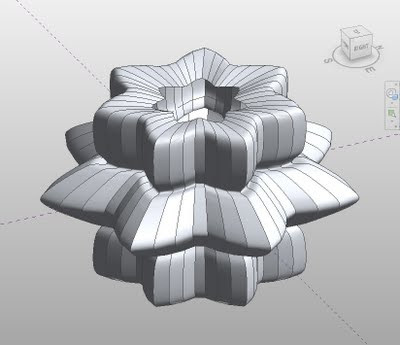 Awhile back, I was playing around with 3D Supershapes in Grasshopper. 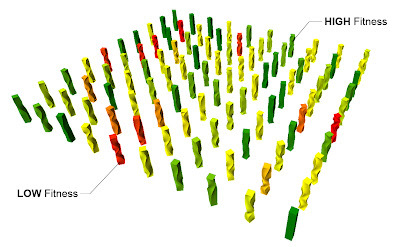 Zach Kron from Buildz recently attempted to approximate a similar effect using Revit parameters and formulas. So to continue the theme, I thought I would take a crack at creating a script for generating 3D Supershapes using strictly IronPython and the RevitPythonShell. The script creates reference points based on mathematical formula and draws section curves in one direction. I then used the loft form method to connect adjacent curve together and describe the surface. I should note that lofting the sections together for a continuously smooth look fails under just about every scenario... I hope more options are available in the future. 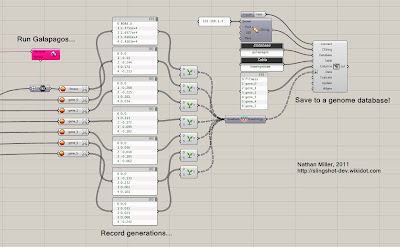 Zach Kron from Buildz recently posted an very cool example of using IronPython with Revit/Vasari. This is made possible using RevitPythonShell by Daren Thomas. This got me excited to kill two bird's with one stone 1. 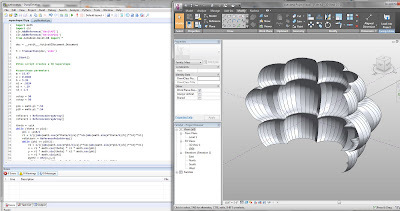 See what Vasari is all about and 2. start digging into Python. I had to go through a number of blog posts to get all the pieces to work together (most only told part of the story). The fact that Vasari tries to keep everything under the hood a secret does not help matters. First why would you WANT to do this? Unless you are going through the VSTA in Revit ( this is not available in Vasari), you have to use Visual Studio to compile a plug-in and load it as an Add-In. This can be a cumbersome experience if you want a more fluid scripted workflow where you can test code on the fly. Enter RevitPythonShell. This plug-in gives Revit/Vasari the capability to execute IronPython scripts with full access to the Revit API. Once it is up and running, you are able to quickly test different code from either the command console or a script editor of your choice. The steps below are more specific for Vasari. For those unfamiliar, Vasari is a standalone package of some of Revit's more conceptual modeling and analysis features. The application is a free download. 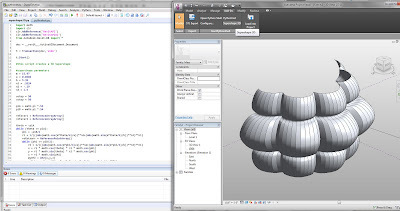 Note: Currently, RevitPythonShell works with Revit 2011 and Vasari 1.1. 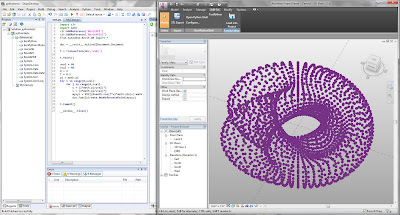 RevitPythonShell is not yet compatible with Revit 2012 or Vasari 2.0. 5. After Vasari has launched... close Vasari. 10. Click on the 'Add-Ins' menu tab. Viola! If you did everything correctly, you should have a RevitPythonShell menu category with "Open Python Shell" and "Configure..." buttons available. 12. Download an IronPython IDE (like SharpDevelop) to write scripts. You can load them using "Configure..." through the Vasari Add-In tab. A new release of the Slingshot! GH+MySQL plug-in is available. The release is a minor update which re-organizes a few categories and also includes a new generic MySQL Command component for executing SQL operations not included in other components. The main reason for this release was to introduce ODBC (Open Database Connectivity) into the mix. The two components (ODBC Command and ODBC Query) should let users access any ODBC compliant database. I have tested the plug-in with PostgreSQL... if anyone tests them with others, please let me know! What if you could turn twitter into a giant command-line cloud.... maybe you can?